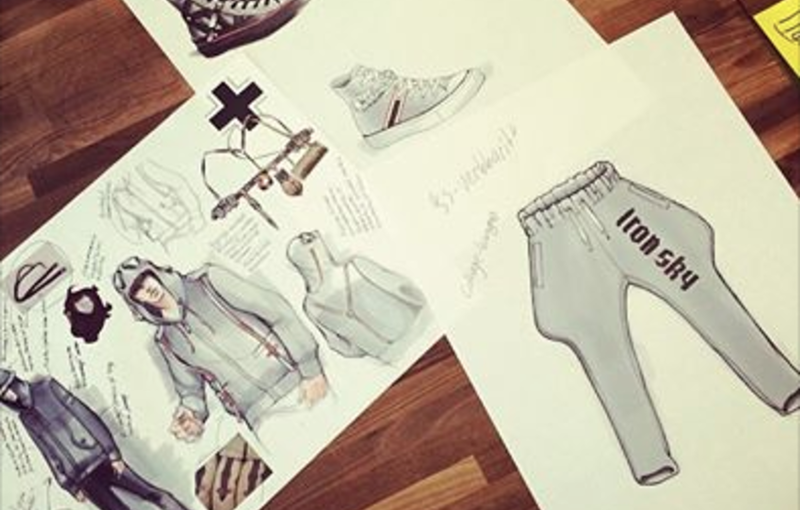 Iron Sky has a proven world wide audience and our way of collaborating with the audience is a perfect match with present and future digital environment. We have a great concept and a great team. Now we need to enhance our team to execute our strategy. With a minimum investment of 250 € you can become s shareholder in Iron Sky Universe. All the Shareholders will be part of our inner circle and can take part in the decision making. You will be granted full shareholders access behind the scenes to follow & participate our mission to guarantee a legal and easy world-wide availability for our content. During the coming 8 years we plan to release 2 feature films, 5 seasons of TV serie (or WEB), several games and a wide variety of other Iron Sky related products. Consider it as a longterm investment (3 to 10 years) where your possible financial returns come from the dividends and/or possible future exit. As a basic principle Iron Sky Universe is planning to share 50 % of its possible profits for the shareholders. 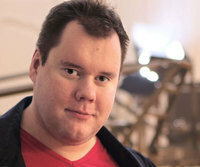 Director Timo Vuorensola made history in 2005 with his first film Star Wreck: In the Pirkinning. It was the first feature film made for the internet. The film broke all distribution conventions and became a huge hit on the Internet with more than 10 million viewers. 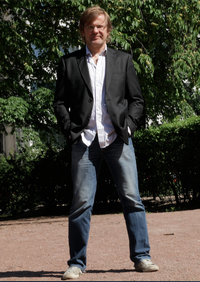 Producer Tero Kaukomaa has been one of the most internationally-focused film producers in Finland and has produced / co-produced over 20 feature films such as Dancer in the Dark by Lars von Trier, Everlasting Moments by Jan Troell and the Finnish-Chinese co-production Jade Warrior by AJ Annila. Finding world-wide audiences is the biggest motivator for Tero. Timo and Tero joined forces for the production of Iron Sky, bringing together their experience in crowdsourcing and international film production. Iron Sky was produced with the audience, funding 10% of the budget trough crowdfunding and did engage a wide audience through crowdsourcing with the film and its marketing. 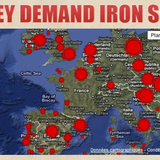 Iron sky received a world-wide theatrical release in 2012 in more than 60 countries. Since it has also been released on home video and VOD all around the world and has seen by more than 10 million people with approximately 10% of them paying to see it on the big screen. Yet even with one of the widest ever releases for a Finnish film, we were unable to satisfy the demand of our fans. While Finnish viewers got to see the film in April, fans in Hong Kong were left to wait until December. Now we want to build a business model that provides a distribution that is as global as our audience. To build it we have our experience and a brand known by millions and millions of people. See the image below. Our collaborative production method forms us a wide international team, which works as a global marketing machine. Bigger than any Hollywood studio has! Distribution as it is today is obsessed with release windows and regional contracts. And it is very understandable, they worked great in the era of physical media when you shipped film reels from one country to another, where reviews were printed in the local papers next to the advertisements. Every country was an island and with every territory the clock started again. But it does not work anymore. Today the audience talks to each other. When the film is first shown in Finland the audience in Iceland reads the reviews. When three friends go to see a film in Sweden they tell their friends in the US, Brazil and New Zealand to do the same. The audience potential for the film is defined by the size of the release. Outside the studio system the size of the release is defined by the distributors, who are guessing what sells and what not. We don`t want the distributor to decide, but instead the audience. We want to bring the demand to the distribution. The world has become smaller and audiences have grown larger. Here's how we want to do film distribution in the 21st century. Iron Sky Universe is set to bring Iron Sky in its various forms to the global audience as an exchange for their help producing it. The center of the content is the story about the Nazis on the Dark Side of the Moon. All forms of it, be it a feature film, multiseasonal TV / WEB series, game or merchandising will be developed, produced and distributed together with the audience. 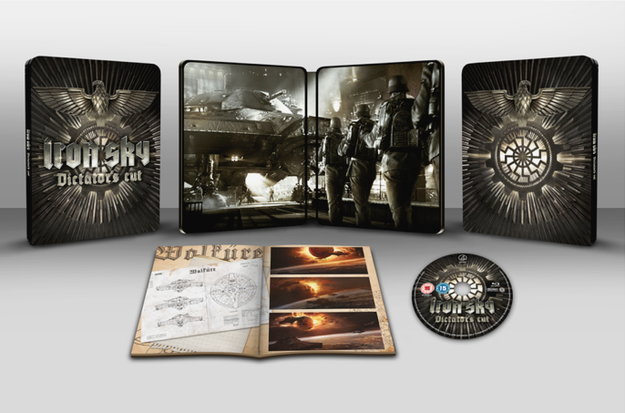 Iron Sky Universe is an endless world for stories. Like Indiana Jones, the world of Iron Sky is inspired by the uninhibited imagination of pulp fiction from the early 20th century. In our world the craziest conspiracy theories come true - the Nazis escaped to the far side of the moon and lizard men ride dinosaurus inside the hollow earth. We think that the traditional distribution model for films is challenging and we believe the modern distribution model for Games is interesting. So we want to bring the distribution of Films closer to the distribution of Games. We pre-sell the content in different forms directly to the audience. 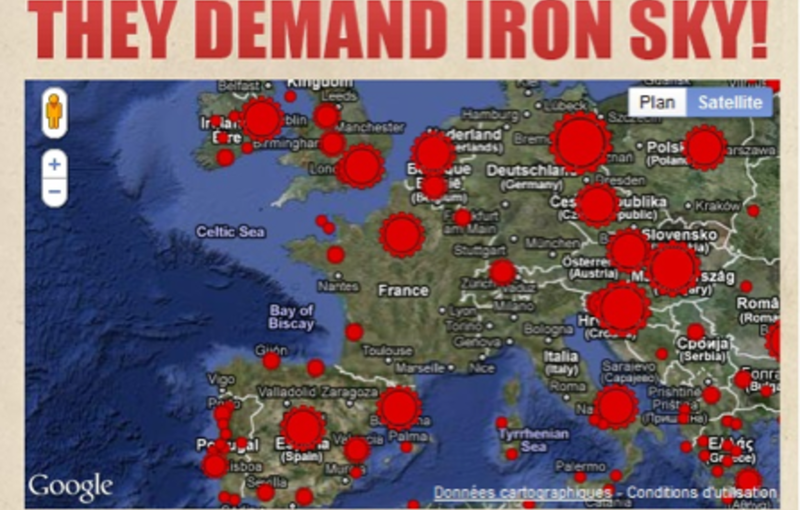 As we love the silver screen we also want to provide a method for the audience to host an Iron Sky event in their local cinema. We have been doing this for 15 years. We have been actively communicating with a huge number of people. These people, their friends and friends of friends love to find new ways to be part of Iron Sky and to participate in their own way in the making of. Be it design, an idea or money. Iron Sky The Coming Race. Sequel for the 1st feature film. Attached a production, financing and release plan. 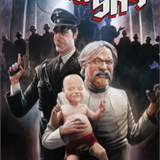 Iron Sky "3". 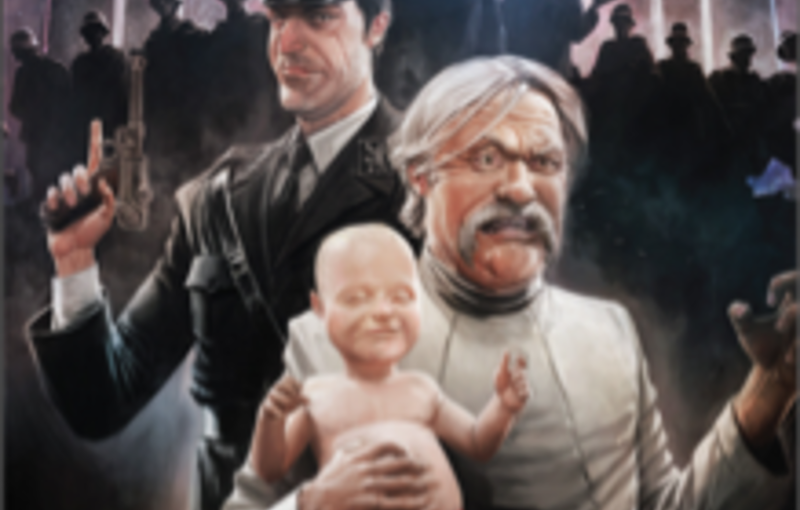 The Coming Race has been developed to offer a natural lead to a third Iron Sky film, which we have in concept stages. Iron Sky Multi-Season TV and/or Web - series. Prequel for the films. Set in the Cold War era of late 60s and early 70s involving and mixing American and Soviet Moon Race with the Space Nazis. You'll find a preliminary series outline in the documents below. We are currently on planning stages with potential German partners. The first film spawned a video game and a classic board game. More are in development. 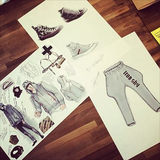 We want to create merchandising that we would love. Currently we are in talks about creating a Iron Sky pinball machine. Toys, collectables, comics. For example we did already a comic prequel series released online as a part of our "Sneak Peek" subscription service and as a graphic novel in the US by IDW Publishing. So, what kind of money could we be talking about? Right now, lets look at it with a traditional eye (a) and with a fresh eye (b). a) What Iron Sky 1 did in box office? The combined worldwide box office stands at $9,979,578. With that box office Iron Sky 1 has so far generated (for the producers & investors) about $4 million of netsales and revenues including cinema, DVD, BR, VOD and TV. With the sequel we estimate to double the cinema box office but quadruple the VOD numbers with simultaneous release giving the film better availability. And this is only one film! As a reference point, a good non-US science fiction film to compare could be Australian Mad Max –trilogy. A good, lasting franchise takes time and many films to build, and this is what we are embarking on. 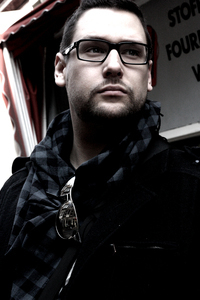 A journey to create a successful franchise around Iron Sky! b) Crowdfunding. One of our role models is a game project called Star Citizen, which has raised close to $42 million so far for a game to be released in 2015. More crowdfunding, more independency, less middle men, more engaged audience, less marketing costs = more revenue. 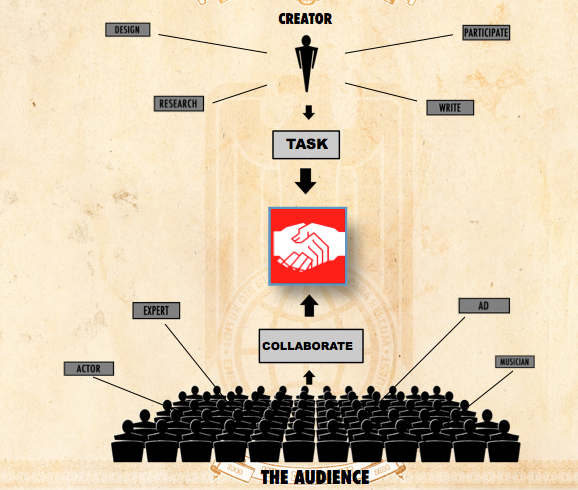 We believe that crowdfunding and Iron Sky are a match made in heaven. Well, in space! Between 2016 and 2020 we aim to make roughly 2 million € profit each year. That means 1 million dividends per year. With 120.000 shares its roughly 8,30 dividend per share per year. So, if we reach that target and if you make the minimum investment with 250 € for 10 shares, by 2020 you gained (5 x 10 x 8,30) 415,00 € as dividends. 6. The First Round, The Second Round. We will conduct the financing in two main rounds. The First Round – this round – is for believers. We ask you to take a step into darkness, but we will reward you better. We’ve always believed in people who are willing to act as we act – experiment, be brave and go where no man has gone before, and want to reward them with valuation that gets you more shares for smaller investment. By the time we launch the planned Second Round in autumn with first footage of the next feature as marketing material, it will be valued much higher, and shares will cost more. Simultaneously with the Second Round next autumn we are starting to pre-sell the sequel direct-to-audience in its various forms with traditional ”Kickstarter-model”. A.) It`s a longterm risk investment! We can`t guarantee your investment back or any profit! Based on our schedule first product (Iron Sky The Coming Race) is going to be released earliest 2016. If things go according to the plan, we release 2 feature films, 5-season long TV / WEB series, and a couple of games between 2016 and 2021. So, financially speaking, possible returns / profits / dividents can be expected (but not guaranteed) in 3 to 10 years time. B.) It`s a trip in creating no less than European Star Wars. As a shareholder, you will belong to inner circle to take part in decision making and several other activities along the way. You get to be involved on how this epic story forms. It`s all about your activity – when you want to participate, there will be more than enough for you to do, say, weight in and comment on! C.) Every share has the same value! We aim to make Iron Sky Universe a "public company" with a simple model. Every share has the same vote, and every share shall be freely traded in an aftermarket, Invesdor-list, provided in cooperation by Invesdor Ltd and Privanet Oy. For a possible exit in the future, we need you to sign a equity crowdfunding shareholders`agreement (attached). D.) We want to create an active advisory group and also enhance our present board. Through this round we hope to find couple of individuals, who would have the will and the ability. We brought the traditional film production and new innovative ways for crowd engagement around the same table. We used social media years before the term has been invented. Below descriptions for the present core team. Currently we are looking to add 2 - 3 experts to complete our core team. Through our financing rounds, we are also planning to create an international advisory group to challenge us for improved results. Also, we are interested to find new board members helping to keep the strategy on the right track! Founder. Producer. Head of Business. Founder. Director. Head of Content. Community manager. Thinking outside the box.